Did you make a New Year’s Resolution to cross some big items off your wedding checklist? If so, we have a one-of-a-kind wedding favor idea for you! Here at Parker’s Crazy Cookies, we’re in the business of creating unforgettable treats. Your big day will truly be one to remember with these personalized favors that look just like you! Personalized favors are all the rage these days. 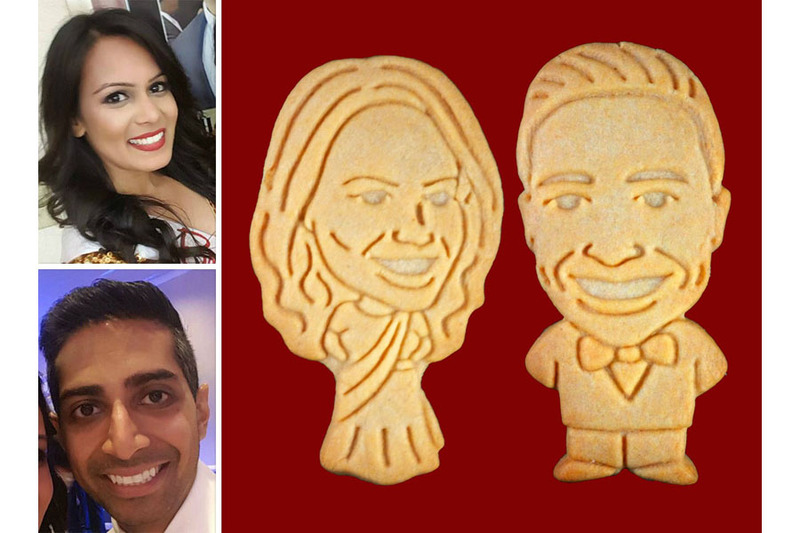 Our personalized cookies go far beyond putting your name on a wedding favor, so you know they’ll stand out! These cookies that look just like you are the perfect way to send your guests home with a slice of your love! So don’t wait to finish one wedding checklist item by bringing these favors to your special day! Here are a few of our favorite wedding designs of all time! They’re almost too sweet for words! Wedding Checklist: Personalized Favors to Delight Your Guests! Your wedding day is a day to remember! So print it proudly on everything in sight! Your personalized wedding favors should be as special as your wedding day. 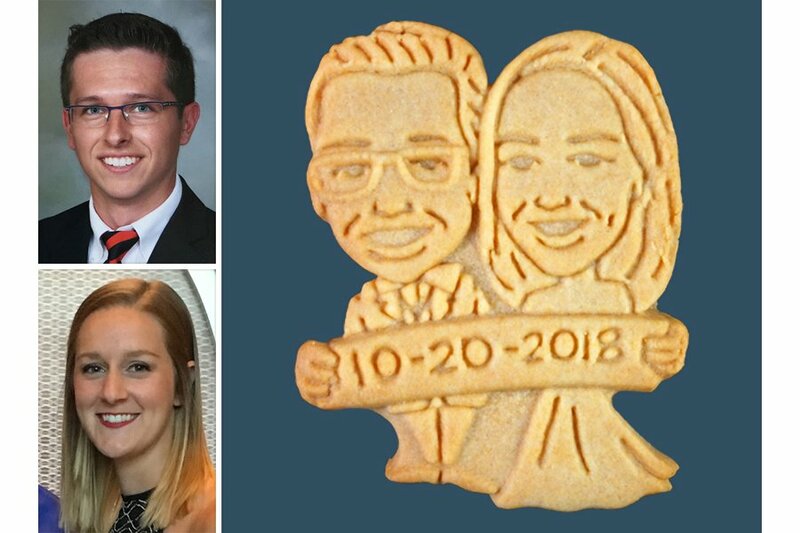 These adorable cookies that look just like you and your sweetheart are the perfect way to display your wedding date! You’ll be all dressed up and ready to impress when you walk down the aisle. So make sure your cookie selves are dressed to the nines as well! These personalized wedding favors can be dressed up in anything you can imagine. 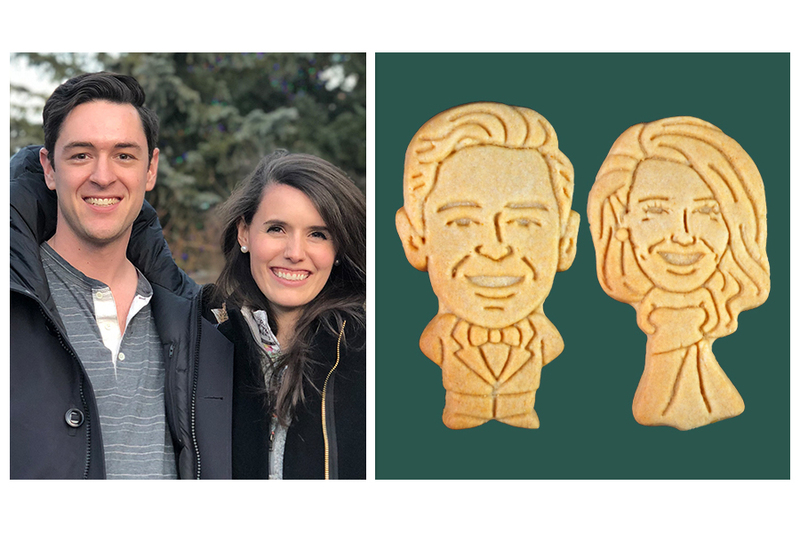 Create the picture perfect image of yourself, in cookie form! These personalized favors are the perfect way to greet your guests! Place one at each table setting at the reception. That way, your smiling faces will be there to greet all of your guests!There’s no sweeter way to make everyone feel honored on your big day! Ready to mark a big item off your wedding checklist? Create a pair of adorable personalized cookies with us today! Previous PostPrevious Small Wedding Favors That Make A Big Impression! Next PostNext Engagement Party Favor Idea: Personalized Sweetheart Cookies!